For over a year, artist Katie Holten has been heading the creation of a museum free of drywall, floors, and ceilings. Her collaborative 4.5 mile public art piece will take place this summer along the Grand Concourse in honor of the street’s centennial anniversary . Holten’s Tree Museum will include environmentally conscious art and writing created by New York artists, writers, and activists (E.J. McAdams, who I interviewed in January, will also be apart of the exhibit). Students from P.S. 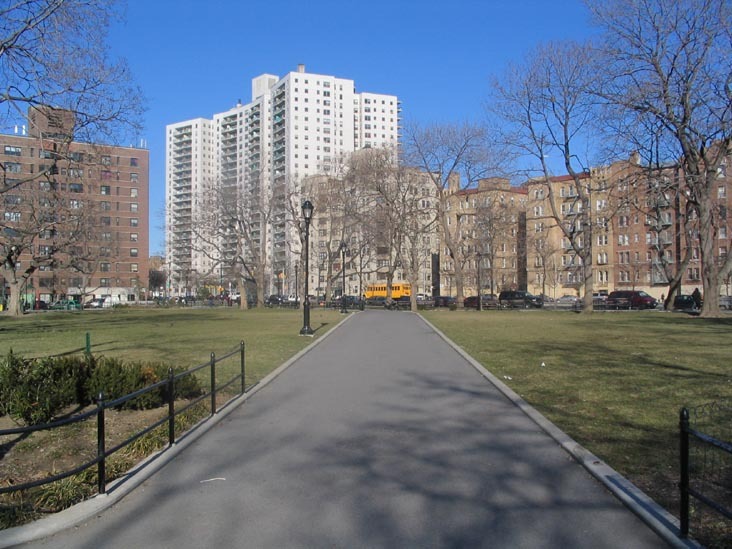 386, Dreamyard Preparatory, and the Bronx Writing Academy will also create work for this project. Works will be housed in sidewalk display cases along the entire stretch of the Grand Concourse, while visitors may access audio tours through their cell phones. Holten came up with the collaborative project after spending hours on the Concourse and observing its natural environment. The purpose of the Museum is to direct viewers to the ecosystem of the street. While the media typically gives us a negative portrayal of the Bronx, the Tree Museum will help counter that impression. The museum, which is set to keep “the same visiting hours as trees,” will open on June 21st and goes till October 11th.